If you’ve never heard of Stringify, we’re honored to introduce you to it. Similar to IFTTT, Stringify allows you to connect disparate devices in the cloud for free. For example, your Wink Hub might support Ecobee 3, but not in a way that allows you to do everything that you want. This is one way Stringify in particular can help. Don’t misunderstand us, we like IFTTT and find there’s great value in their partnerships, especially the one they announced with Stringify on January 13, 2017. We’ll get into that in a follow-up post, because it’s advanced and requires you have a good understanding of both Stringify and IFTTT to get results. 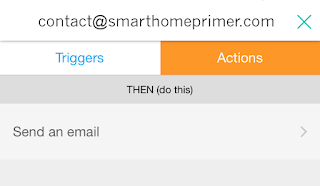 Be sure to read our post "How-to: Connect Smart Home Devices with IFTTT" in preparation. Before we start, you’ll need to download Stringify from either the Apple App Store or Google Play Store on your smart device. Currently, there is no iPad specific version, but you can still use it on iPad in so called “Universal App” mode where everything is scaled to fit the larger format. Be sure to select “iPhone Only” when searching the iOS App Store for Stringify from an iPad. 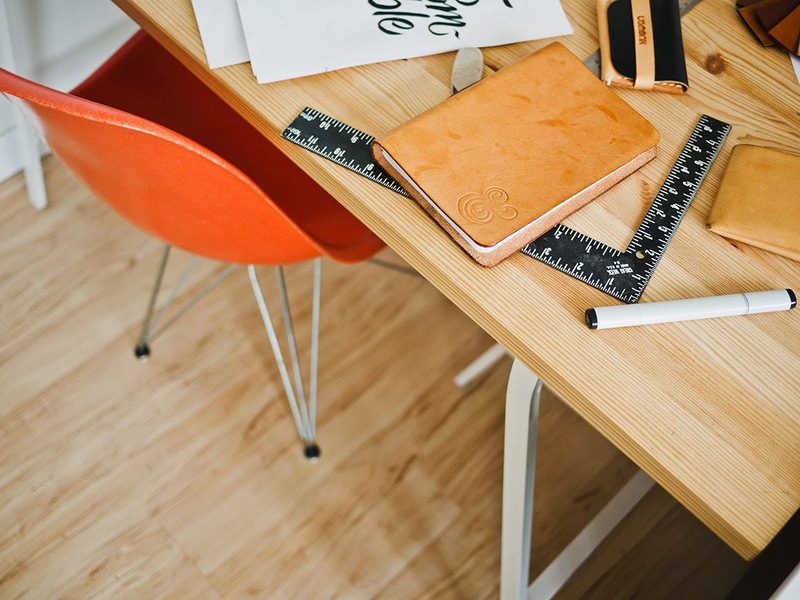 For most of this article we’re going to refer you back to Stringify Knowledge base documents with links throughout this article, because they are well written. However, many people still struggle with creating their own flows in Stringify when getting started, so the purpose of this article is to reinforce some important basics you’ll need to know. Start with a basic flow to get a feel for how Stringify works. This first will be similar to what can be done with IFTTT, but once you understand how to add “Things” to your canvas, how to connect them and complete your flow, we’ll get fancy and you'll quickly see how powerful Stringify is. In this example, an email will automatically be sent to your partner anytime you're home early from work. Now that you understand how to build and connect a basic flow by following the links above, lets get more advanced by adding an “ONLY IF” trigger to a flow. This is something that IFTTT cannot do alone. Start by adding Location, Date & Time and the Gmail “Thing” to your canvas. Now configure the Date & Time “Thing” to start on today’s date, the time should be set to 5:00 PM or whatever time would be considered early for you to be home, and it should repeat Every Day. Set the location to “ONLY IF” I’m at a location. We suggest within 1000ft for best accuracy. 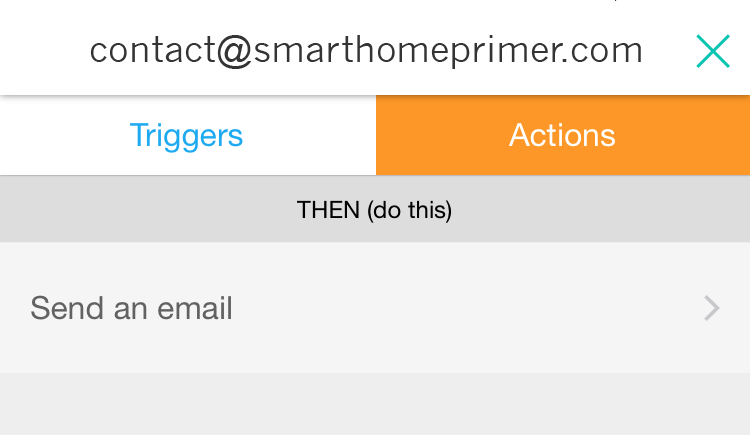 Tap the Gmail “Thing” and set your partner as the recipient, with the subject “I’m home early”. It’s necessary to also enter something into the body. If your partner has a good sense of humor, try “What’s for dinner?”, but use with caution as your milage with that phrasing may vary. Now connect the “Things" together. First drag Date & Time to Gmail. This will create a quick link between them showing they have a relationship. It’s a common error to next want to drag the “ONLY IF” trigger to the Gmail “Thing” as in this example. But as you can see, this tries create a second relationship with Gmail and that will result in a red quick link and an error when you attempt “Enable Flow”. Flows can contain only one “WHEN” trigger, but may contain unlimited “ONLY IF” triggers as explained in the Stringify KB here. To make that happen, you must drag the Location “Thing”, not to the Gmail “Thing”, but to the Quick Link that defines the relationship between Date & Time and Gmail. Your flow should look like the image below and the lines will change from dashed to solid then the flow is enabled. Congratulations, you've built your first Stringify Flow! Stringify runs in the cloud, so there's no need to have the app running in the background on your device.